Make a secure online donation to the children at Safe Haven Orphanage using your credit card or PayPal. Join the Safe Haven page and let all your friends know about us! If you have visited us, feel free to add your posts/pictures. Read about the history and location of Safe Haven Orphanage, along with who is responsible for its day-to-day running. 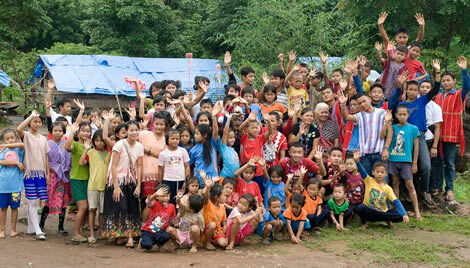 Many of the children in Safe Haven Orphanage have been affected in some way by the situation in Burma. Some photos and videos of the orphanage and children. For more up-to-date images, please visit our facebook page.